Payday loan means instant cash that can help you in a financial emergency situation, but for many people, getting a payday loan will also means of getting an instant debt because they have not enough money to payoff the payday loan at the due date. Most of time they will only pay an extension fee to extend their due date for another couple of weeks. The cycle usually continues until they have paid more than 2 or 3 times the amount of the original loan. There are borrowers even get another payday loan to pay off existing payday loans and the cycle continue until the debt snowballs up to a bigger debt which is hard to be pay off. Don't let this happen to you, if you have touched the loan, get rid of it as fast as possible. We may face financial hardship from time to time and our money is not enough to handle it. 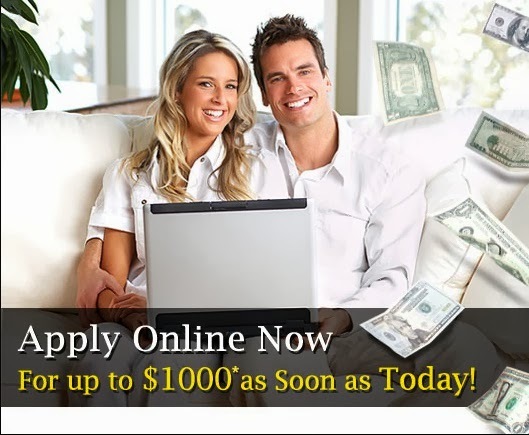 That's why we need to get some emergency loan to resolve current financial needs, and payday loan is one of the fastest ways for us to get the instant cash, the money we need to resolve the emergency financial needs. The payday loan will not become our financial burden if we pay it off at or before it due date. As we know payday loan carries the highest APR among all the loans, but it is the easy loan to get approved because it does not involve a credit check. That's why people tend to go for payday loan if they need the money fast. Unfortunately, many of them forget to factor in the payment of the loan as their expenses/cash out for next paycheck. The loan will become their unexpected expenditure which is out of their monthly budget. Hence, it will become a financial burden because they have not enough money to pay it off. In order to avoid yourself from being dragged into this debt situation, you should avoid yourself from getting a payday loan at your best effort. The payday loan can only be avoided if you have sufficient fund to face any financial difficulty that requires fast money for settlement. When you are at the financial comfort zone, you should prepare yourself an emergency fund where you consistently deposit a certain amount of money in the account each month. The emergency can be your life saver when you need the money urgently. What if you already in the cycle of paying the payday loan, how could you get rid of it? It is important to pull yourself out of the debt paying loop. Once, you got your payday loan to settle your emergency needs, you need to factor in the loan payment on your next paycheck or before it due date. If the money you earn each month is not enough to pay off the loan, then you need to think of an alternative to make extra income. You could earn an extra income from part-time job, work-at-home business or set up a garage sale to sell some of your home furniture or any accessory that can help you to make some cash out for the loan payment. The bottom line is, you need to pay the loan before it due date. If you already looping in the payment circle for a number of times, don't let the loop continue; try to get out of the debt loop before it's next due date.